Kininvie is the name of a farm and House on the Maggieknockater road from Dufftown, which follows the eastern bank of the Fiddich, from Parkmore. From the gaelic "Ceann Fhinn Mhuighe" - ​“The End of the Fair Plain”, according to both Whiskycast and Misako Udo though "ceann" is normally translated as "head". 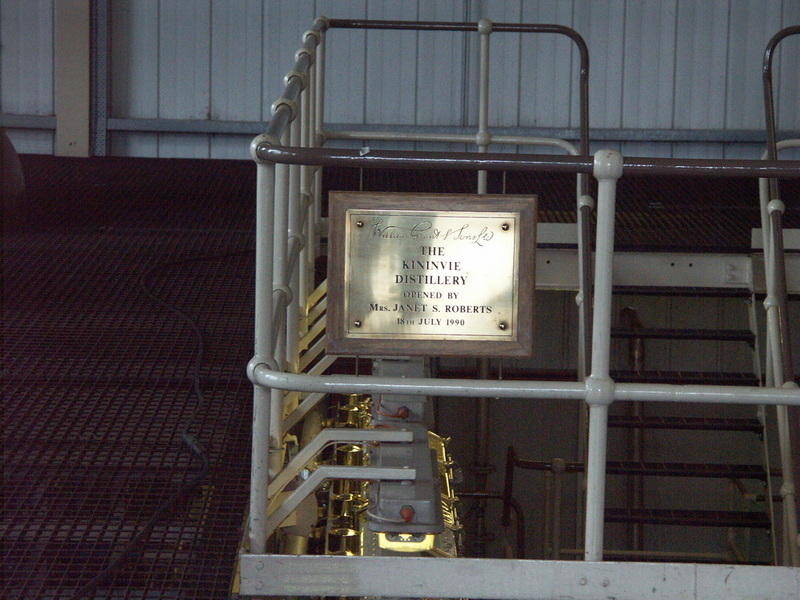 Kininvie features on tours of Balvenie. A bottle of Kininvie straight from the cask was provided for us to taste on the 7 stills tour. 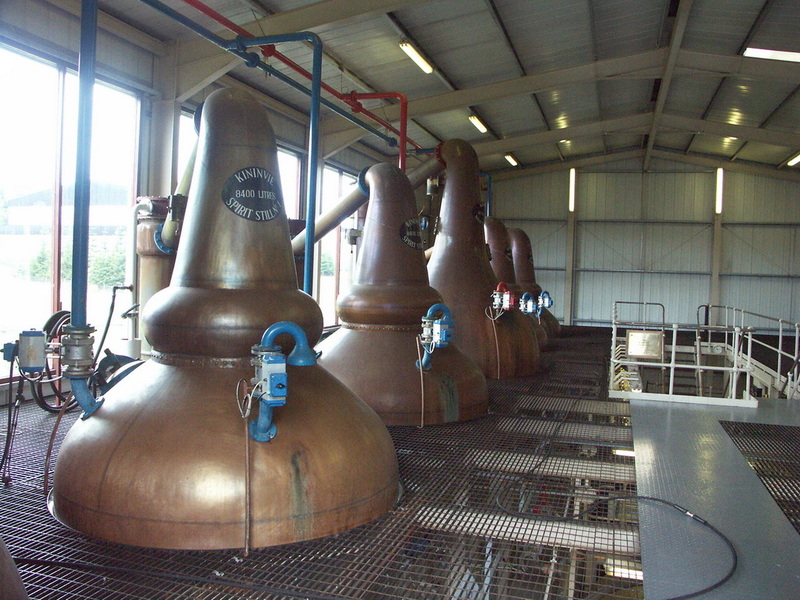 Kininvie has never been a completely separate distillery from Balvenie. 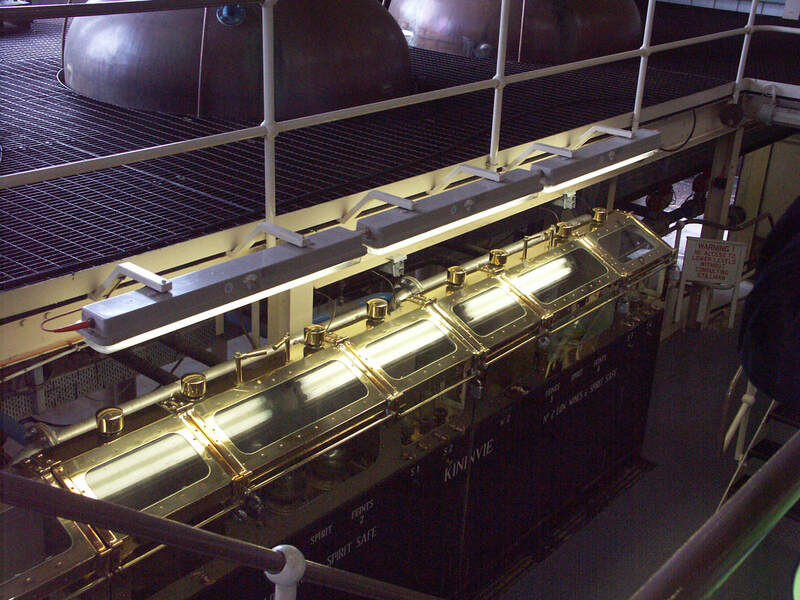 It was opened to provide extra malt whisky for Grants' blends, and closed when Ailsa Bay was built - larger capacity, more modern. 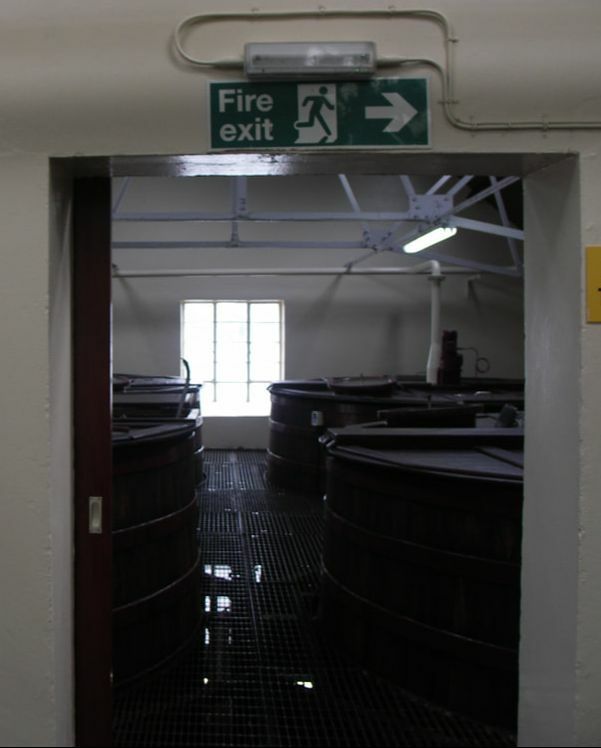 The only separate building is the still house; the mashtun, washbacks etc are located alongside those used by Balvenie. 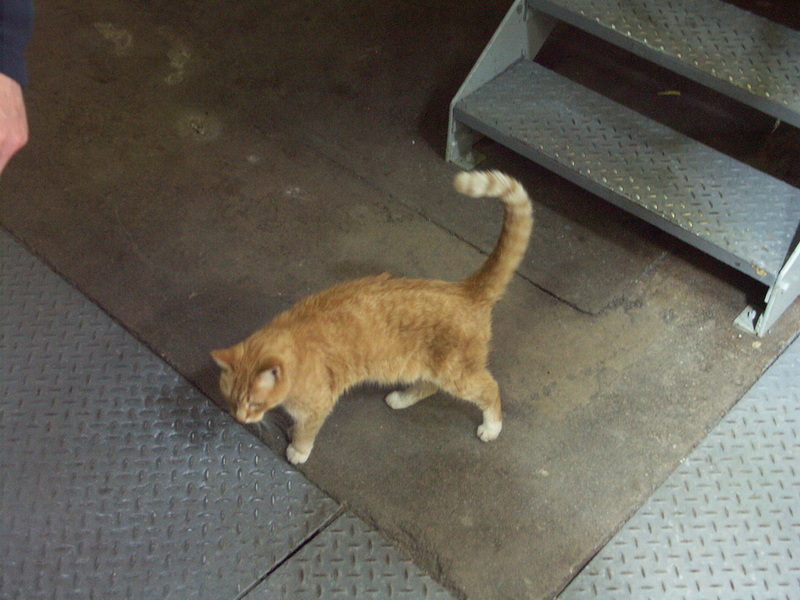 The malt mill is in shared use. The family of William Grant has always been a vital component of the company and its distilleries. 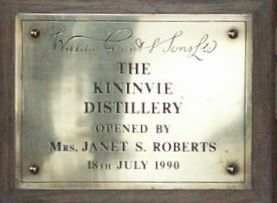 One of his grand-daughters, Janet Sheed Roberts, born in 1901, opened Kininvie Distillery on 18th July 1990. (In 1969 she had opened the Glenfiddich Visitor Centre - the first distillery visitor centre). Earlier in life she studied law and practised at a time when there would have been very few women in the profession. She was later a director of the company. She lived at Hazelwood House, next door to Kininvie House, and to mark her 100th birthday, William Grant produced a Hazelwood blended malt - a blend of 100 casks - given to staff members at William Grant. In 2006 - a 15yo at 105 proof (52.5%) was produced to commemorate her 105th birthday - this was a Kininvie single malt, the first ever, though again this was only given to staff members. The first public release came two years later - a 17yo to mark her 107th birthday, also at 52.5% - though it was a limited edition. Her 110th birthday was marked by the production of 1600 bottles of a blended malt, which were given to staff and friends of the company and also 11 bottles of the Janet Sheed Roberts Reserve, a 55yo Glenfiddich - one for each decade of her life, which were auctioned for charity - raising £400,000. She was by then the oldest person in Scotland. She died a few months later. In 2016, William Grant & Sons launched the House of Hazelwood range- blends of Kininvie malt and Girvan grain in memory of "wee Janny's" life. 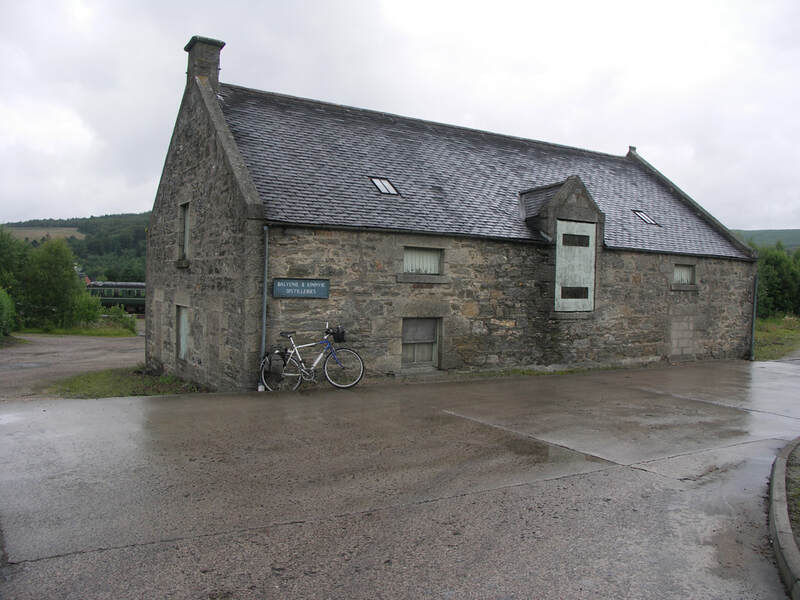 Kininvie is next to Dufftown station, half a mile down the hill from Dufftown Square on the road to Craigellachie. 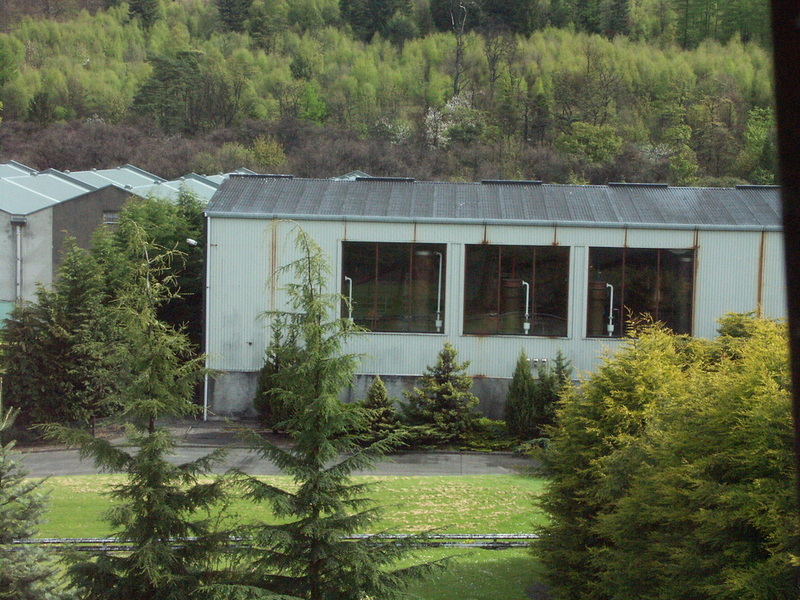 Kininvie was built to produce malt whisky for Grant's Family Reserve blend - to relieve the pressure on Balvenie and Glenfiddich, which were need for single malt. Subsequently there been some limited edition releases from the distillery at 23/25yo in 35cl bottles at 42.6% - and a First Drops release - 25yo at 61.4% from the first day of production. 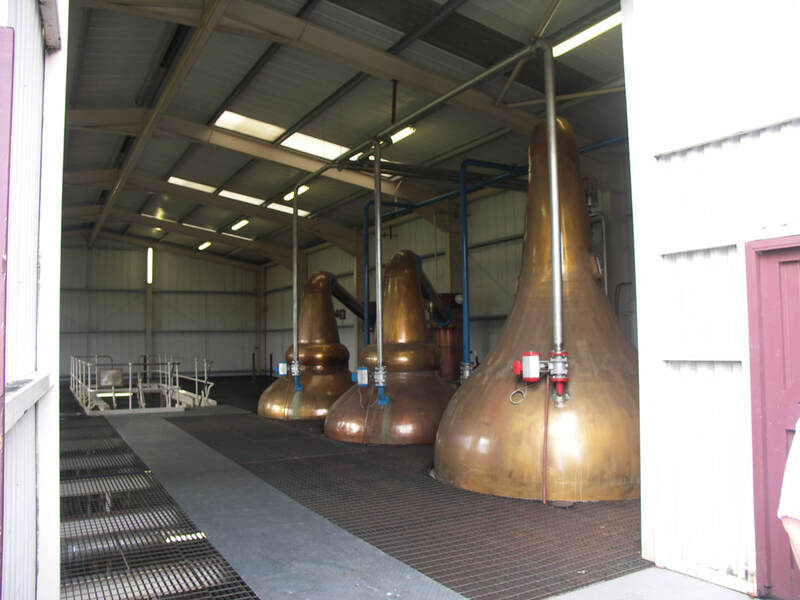 To prevent independent bottlings of Kninvie, Grants "teaspooned" all casks they sell for blending - added a little Glenfiddich/Balvenie to prevent it being single malt. A German company Glenscoma released a bottle of Aldunie Dufftown Malt - the label on the back makes it clear that it was a blend of Kininvie with a "spoonfull of another Dufftown single malt"
Kininive is part of the Grant's blended "triple" malt, Monkey Shoulder. Photos on this page were taken by me. Click on photo to enlarge. Full size versions of all my photos of Kininvie Distillery are available on Flickr.